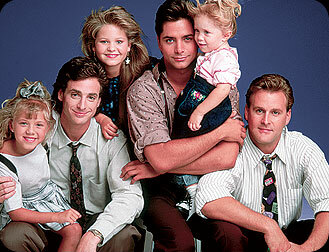 My life was defined by Full House. The show may have come on the air when I was only one-year-old, but I quickly became a full-fledged fan by the age of five. My daily routine had a special half-hour scheduled for Full House. Literally, scheduled. Until I figured out how to rebel and sneak in an extra hour of television, the Tanner clan was my daily escape. The show may have gone off the air in 1995, but I still regularly find myself dreaming of being a Tanner. As the oldest in a family of three girls, I clearly related most to DJ. Breaking the rules and dealing with pesky baby sisters were on both of our daily agendas. With no older sister for me to look up to, I looked to DJ as an example. Michelle may have been closer to my age, but DJ's hair, clothes and boy problems kept me entertainment. Can you really forget the whole Steve break-up saga on the mountain? Once the show went off the air, the actress who played DJ, Candace Cameron, disappeared from Hollywood. 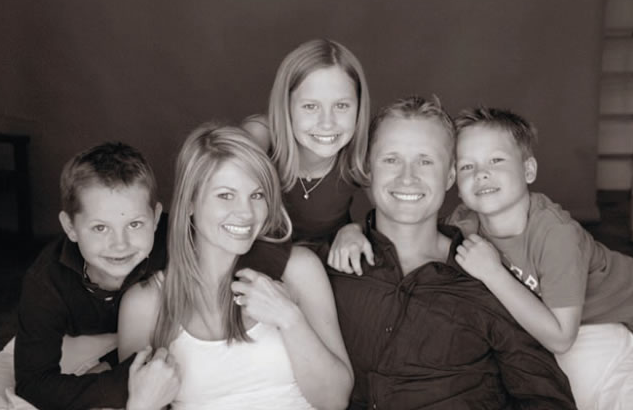 The former child star left the sitcom world for family life, marrying NHL star Valeri Bure and giving birth to three children. She recently returned to the silver screen in Make It Or Break It but I'll always think of her as DJ Tanner. Like any true fan, I've always wanted to meet my Full House star. While I still haven't had my face time with Candace yet, I recently met her other half, Val. 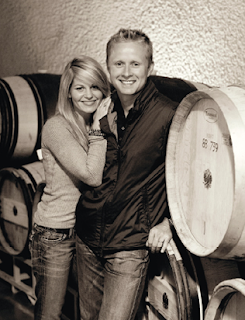 My one degree of DJ Tanner took place at a wine tasting at the Hazelton Hotel as Val debuted his and Candace's joint venture, Bure Family Wines. As the wine connoisseur of the family, it was Val's idea to turn his start the winery. 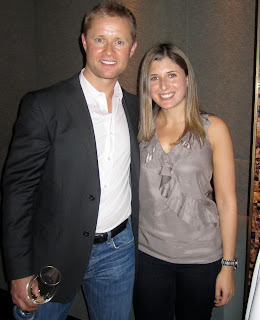 The hockey star personally tastes each barrel of wine, and I was extremely impressed with his 2009 Nuit Blanche Sauvignon Semillon Blend and 2008 Majesty Cabernet. As I told Val, his is the only red wine I actually enjoy drinking. I tend to find reds too bitter, but Bure Family Wines was the perfect blend of sharp and sweet. When we weren't chatting about wine, we were discussing Val's stint on CBC's Battle of the Blades and his family. The semi-finalist explained that despite his skating background, figure skating is a totally different skill. The semi-finalist has impressed the judges with his finesse and fancy skatework, but it's obvious that he's in it to win it for his family. His eyes lit up every time Val spoke about their unconditional love and support. Honestly, it was heartwarming to see our DJ Tanner found herself such a genuine family man. Even though I haven't met Candace yet, I'm sure she's just as in love with her husband as he is with her. It's precious, really. PS Val made it into next week's finals and Candace will be there to cheer him on! Thank you Darlene! Val seems like a great role model for your kids. Let's hope he wins on Monday!